It’s fitting that this game about a duo of squash players attacking a den of the undead with nothing but a ball was similarly developed by a two-man team. The game is simple. With a thumb on each side of your gadget, you swing rackets (or swords, lightsabers, briefcases, or even candies) to launch a ball into a horde of game monsters. And the longer you can keep the volley going—destroying more monsters with the sheer impact of ball explosion—the higher your points. 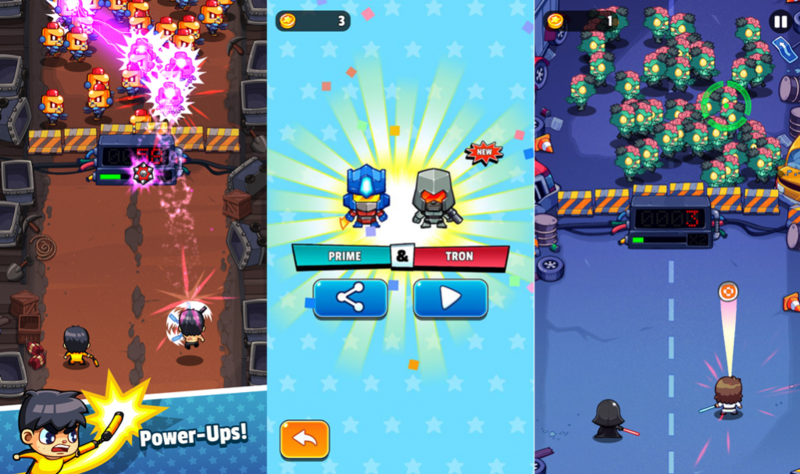 The proper hook for the game lies in all of the characters you can unlock in the game to play as, which you might recognise as the same gimmick used by games like Crossy Road. Some of them include McGonagall and Dumbledore, Thor and Loki, Darth Vader and Luke Skywalker, or Bruce Lee in two of his iconic forms. The game currently has a 5-star rating on iOS, and 4.8 stars on Google Play. With only one programmer and one artist on board to form the Big Frost Games duo, the pair first met when programmer CL set out to look for an artist to develop the first game under the Big Frost label—Circuroid (500 thousand downloads on Google Play). It was then he discovered Foo Chong Siong, a freelance game artist with 10 years of game development experience under his belt. Apart from his 10-year experience, artist Chong Siong was one of the winners for IPCC 2016, and has worked as an Art Lead in Activate Sdn. Bhd. Meanwhile, programmer CL co-founded Dilectus Games (since defunct) and worked in companies such as the Intel Corporation. Developed on the Unity platform, the two Malaysians released the game, aptly, on August 31st. It’s seen at least 100 thousand downloads worldwide on Google Play alone, and has seen praise for its nostalgic design reminiscent of old-school arcade games. It was even listed as one of the recommended freemium games for the German app store. That’s flying pretty far for a game that was just developed as a hobby. And according to him, it was all a pretty autonomous process. And since the game was only developed during the pair’s free time, any money that comes in is pure profit for them, apart from paying back for the assets/plugins from the Unity’s asset store, and audio outsourcing. In fact, CL seems to be a firm believer in the idea of doing games as a passion project on the side. He founded a game company a few years back, but it failed after a year. They’ve also taken the lesson learnt from their first game release to heart, particularly when it came to monetisation. The pair is now still focused on adding more content to Smashy Duo. They’re currently working on a new mode after much demand from their players, as well as adding more characters to their current 60-pair roster. “Rest assured, fun and polished is the minimum that you can expect from our games,” said CL. And we do feel like the game has a level of polish to us, and the reviews of the game tend to agree as well. But when asked about what the future holds for them, CL and Chong Siong inform us that they’ll be looking away from making casual games. Not bad for game developers that are doing this as a side hustle. 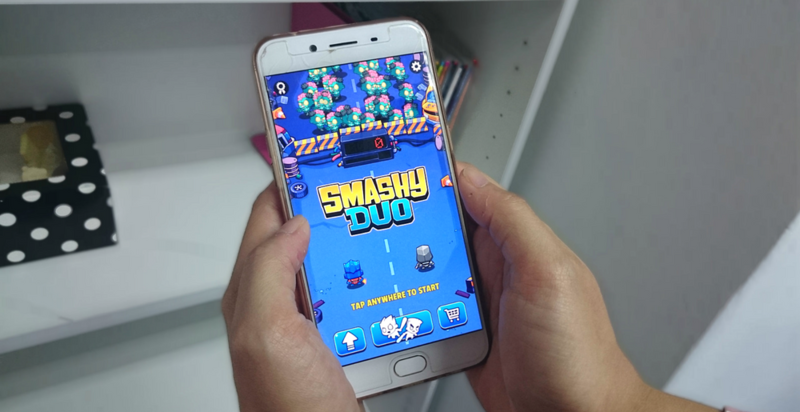 Smashy Duo is currently available both on the Apple App Store and Google Play.